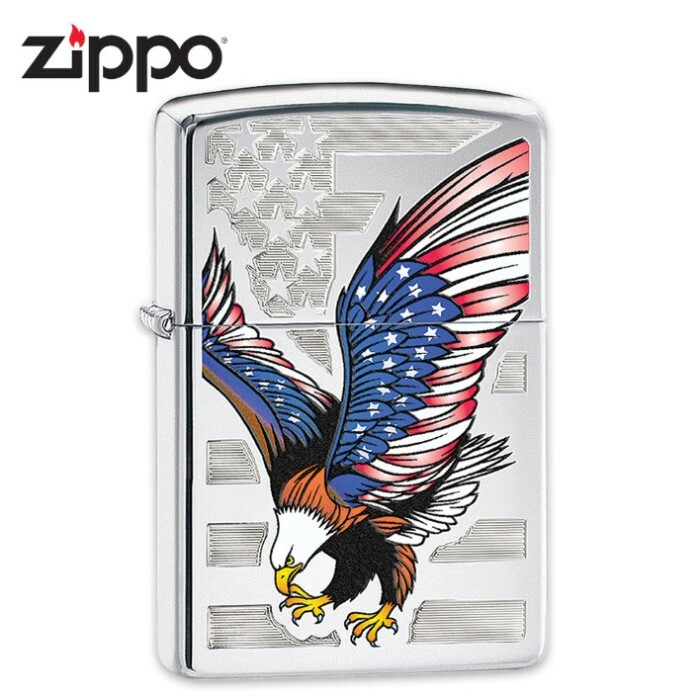 Zippo American Flag Eagle Lighter | BUDK.com - Knives & Swords At The Lowest Prices! Zippo received the “E Star” Award, recognizing their contribution to increased U.S. exports and export promotion efforts. Following their acceptance of this important award, they presented President Barack Obama with a commemorative lighter. This is a replica of the original personalized lighter, which features an American Flag showcasing a red, white and blue Bald Eagle with the flag in the background. The artwork is engraved on a high polish chrome case.